THIS OLD WORLD ORDER OF ABUSE AND NEGLECT OF OUR POORER AMERICANS NEEDS ENLIGHTENED POLITICAL MINDS AND HEARTS TO VIEW GOD DIFFERENTLY THEN $$$. WHEN WILL OUR WEALTHY ELITE AMERICANS ABATE THEIR ASSAULT ON POORER AMERICANS WITH THEIR MONETARY CONTROL OF OUR IVORY TOWER U.S. CONGRESSIONAL LEADERS OF THE NEW WORLD ORDER ??? THERE ARE NOT MANY MORE DISTRACTIONS LEFT WHICH ARE AVAILABLE FOR OUR WEALTHY ELITE AMERICANS TO HIDE BEHIND IN NOT TAKING PROPER CARE OF ALL OUR AMERICANS IN A HUMANE FASHION !!! AMERICAN IVORY TOWER U.S.CONGRESSIONAL LEADERS OF THE FREE WORLD HAVE PASSED FEDERAL LEGISLATION IN WASHINGTON DC TO SPEND 50 BILLION AMERICAN TAX $$$ ON THE INTERNATIONAL FIGHT AGAINST AIDS OVER THE NEXT FIVE YEARS WHILE THEIR OWN AMERICAN CITIZENS ARE BEING TOLD BY THIS SAME U.S.CONGRESS THAT NATIONAL HEALTH CARE AND PROPER LEGAL REPRESENTATION FOR MIDDLE CLASS AND WORKING POOR CITIZENS IS UNAFFORDABLE. *** WEALTHY ELITE AMERICANS (WHO ARE ONLY 1% OF OUR USA POPULATION) SADLY ALSO CONTROL HOW OUR U.S.CONGRESS SPENDS THEIR BUDGET TRILLION$ AND HAVE OBVIOUSLY FOUND MORE WORTHY INTERNATIONAL CITIZENS THEN OUR OWN DESPERATE AND NEEDY POOR TO ASSIST !!! Not being afforded proper legal representation by our U.S. Congress has created a total breakdown of the American judicial system for our poorer Americans because the our U.S. Courts punish all of us little people if we are not assisted with proprer legal counsel.it is a known fact that our average Middle Class and Working Poor Americans without proper legal representation in all of our American Courts of law lose their legal cases to the better financed who are able to afford lawyers. Lawyers For Poor Americans is now actively in the hunt for International Countries and Leaders Worldwide to help raise 5 Billion Dollar$ for our slighted poorer Americans who have had their own American Congress turn their backs on their desperate needs in not affording them proper legal representation. 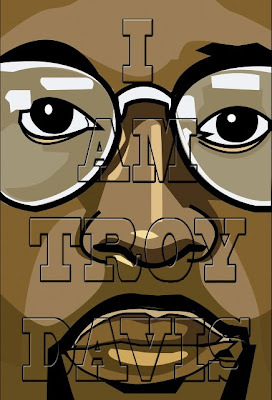 Troy Davis and Mumia Abu - Jamal are 2 perfect examples of American citizens who never had proper legal representation afforded them by our U.S. Congressional Leaders Of The Free World in their initial criminal trials in (Georgia and Pennsylvania) who might very well have to pay the ultimate price of possibly being completely innocent and falsely executed in the near future. This is the first of many www International pleas by Lawyers For Poor Americans for other leaders and countries to help raise the needed monie$ to correct these blatant injustices that have been inflicted on poorer Americans for the last few decades. Lawyers For Poor Americans has many other written articles that can be viewed with any www search engine by our name or our telephone number. Lawyers For Poor Americans is a www lobby group of volunteers that sing out about the decades old neglect,abuse and injustices being inflicted on our poorer Americans that have become Crimes Against Humanity issues for the International World Court to investigate.